PS: Just in case you never heard the classic flight attendant / pilot joke – “Do you know what a pilot’s primary form of birth control is? Answer: their personality. “Do you know what their back up is?” Answer: their layover clothes. There’s the flip side to all of this … a little touchy: flight attendants having a bad day. It seems like in the year or two, every flight attendant on my favorite airline is having a bad day. 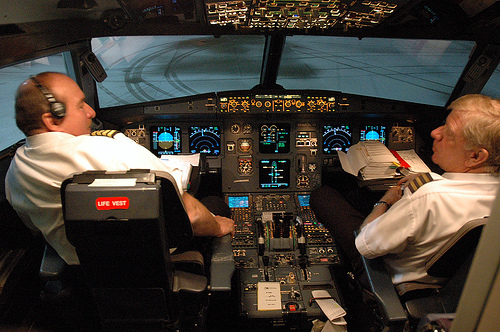 Right up front: airline work is the hardest work I know, only very special people can do it, and even then, it’s hard. Can you describe FAs having a bad day … what that looks like … and what happens next?? Great info! Appareantly what happens in the air does not sty in the air! I’m the boss here and I say letter from a pilot, because it is a letter…with a video underneath. I think it’s more like, What happens in Vegas, doesn’t stay in Vegas. It ends up on the internet.